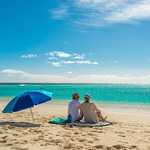 Tag Archive for "best beaches"
If you’re looking for things to do in Noosa and Sunshine Coast you might get overwhelmed. The list of ways to explore this playground of relaxing beaches and lush rainforest hinterland is endless. Here’s our list of 9 top things you’ve got to do while in Noosa and Sunshine Coast. You’ll be spending your vacation like a local in Australia’s most laid-back beach culture. 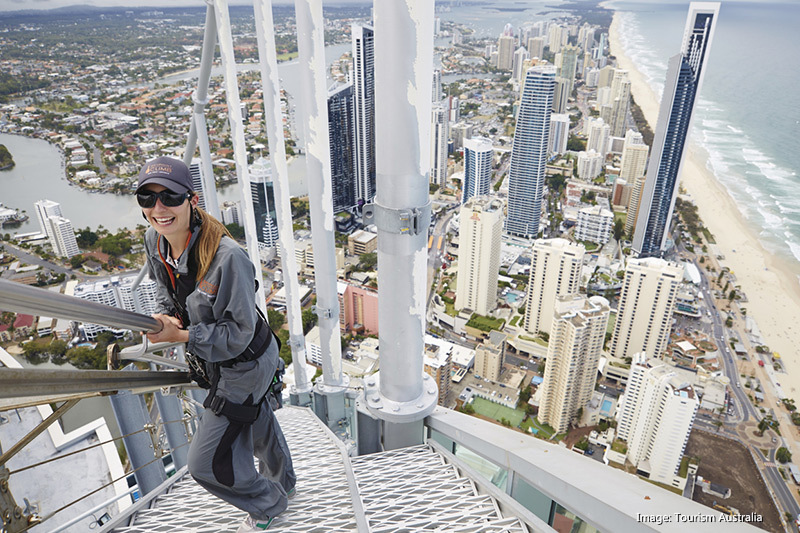 Sunshine Coast is the top destination Aussies choose for a relaxing beach holiday. Many locals are transplants from all over Australia. Once you step foot on one of many golden beaches it’s easy to see why. Here are some of the top beaches in the Sunshine Coast. Main Beach in Noosa is a local favorite for its gentle waves ideal for surfing, kayaking or just for a swim. Rent a kayak, paddle board or boogie board and enjoy the warm waters that constantly hover around mid-70 degrees Fahrenheit. Ever wanted to learn how to surf? Main Beach is one of the best places to take a surf lesson. World-class surfing coaches give lessons right on the beach and will have you standing on your board by the end of your first lesson. 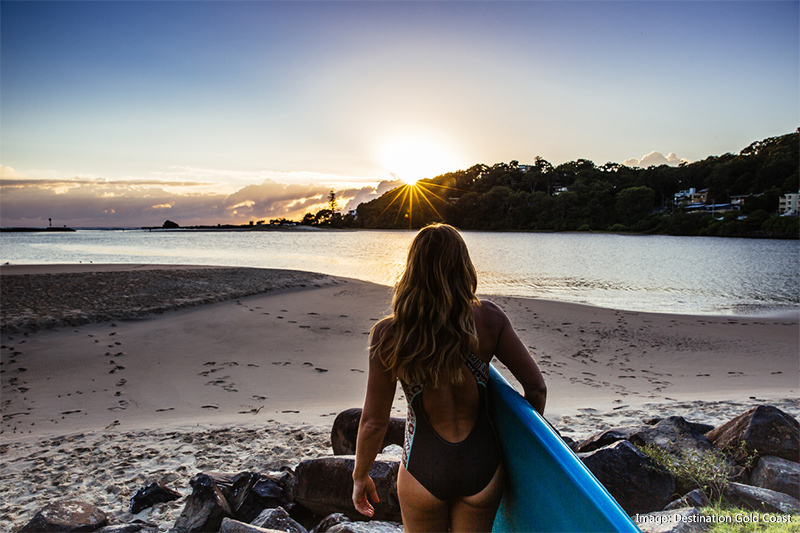 Visit Main Beach in March for the annual Noosa Festival of Surfing. This 8-day festival draws surfers from around the world to gather and celebrate their love of surfing. Have you ever seen a dog surf? 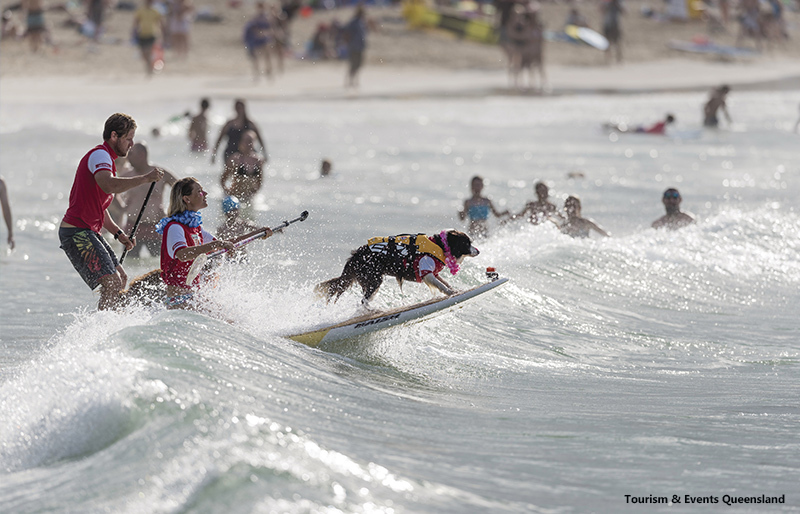 Catch the Surfing Dog Spectacular during the festival and watch as dogs and their owners take on the waves. Once known as Golden Beach, this laid-back spot draws repeat visitors with its soft golden sand, secluded surfing and amazing dining along its elegant main street. The irresistibly cool waters will draw you in with their unbelievable clarity. Boasting larger waves and little crowds, here you’ll find some of the best surfing in all of Sunshine Coast. 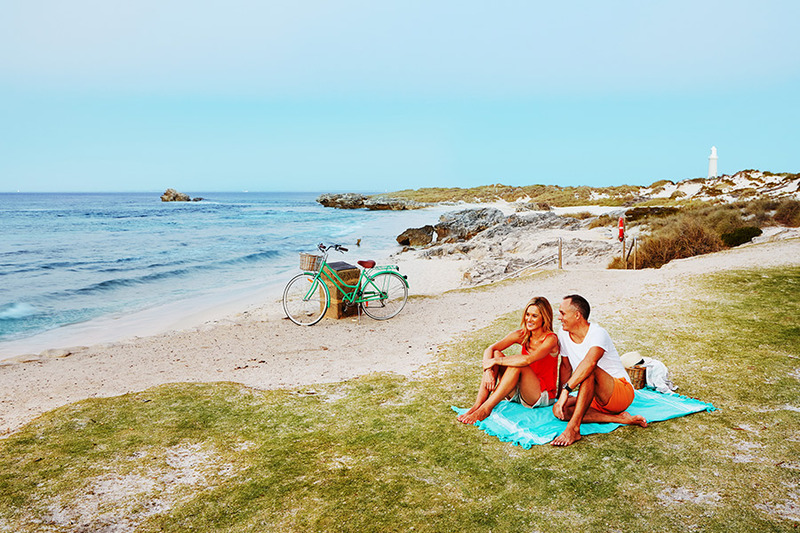 After a day at the beach catch a bite to eat at the award-winning Sunshine Beach Surf Club for a taste of fresh, locally-sourced dining. If you haven’t already noticed, surfing is kind of a big deal in Sunshine Coast. It’s no surprise when there’s no shortage of gorgeous beaches with amazing waves. Coolum Beach is no exception. With its carefree holiday feel and consistent rolling waves, it’s a spot locals escape to for uncrowded and patrolled surfing. Here you’ll find one of the best beach boardwalks in all of Sunshine Coast. Take a leisurely stroll on the boardwalk and see breathtaking views of beach. 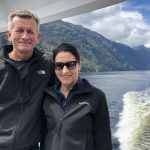 Reach Point Perry Lookout for one of the best whale watching vantage points in Sunshine Coast. You might also spot turtles or dolphins frolicking in the glimmering blue sea below you. Need a break from the beach? 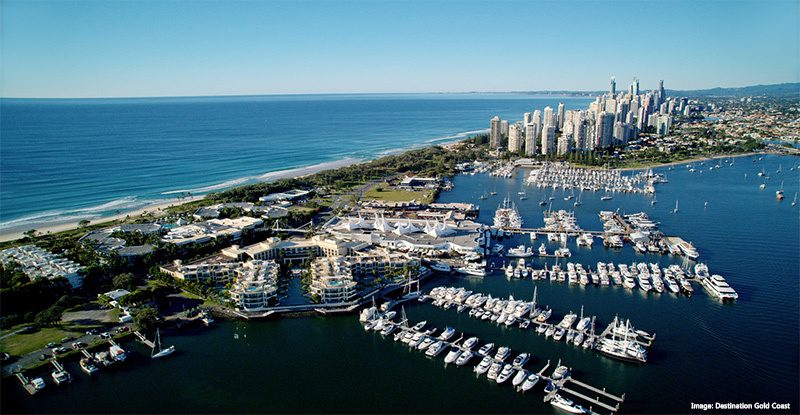 One of the great things about Sunshine Coast is the unique blend of coastal beaches and charming hinterland. There’s dozens of national parks, lush rainforests and towering mountain vistas to explore. 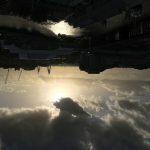 The problem is choosing which sites of many to discover. Here are the top things to do in Noosa and Sunshine Coast hinterland. This popular park is a perfect mix of rainforest, mountains, wildlife and beaches, making it a quintessential Sunshine Coast destination. 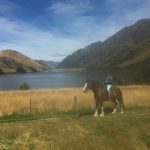 Here you can hike through some of the region’s most picturesque scenery of lofty trees, rocky coasts and glorious clifftops. Spot wildlife as you wander through one of five tracks along the heath and woodlands. 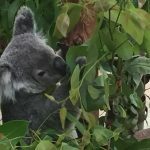 If you’re lucky you might spot a koala napping on the branches! Imagine swimming in your own private rock pool with crystal clear water right on the doorstep of the ocean. Sounds amazing, right? It’s no wonder the locals like to keep the Fairy Pools a secret. The Fairy Pools are two pools of water in the rocks along the coast of the park. The high tide fills the pools, creating a magical scene of clear water rock pools surrounded by the ocean. Look for these hidden gems early in the morning for the best chance to take a private dip in the Fairy Pools. One of the Sunshine Coast’s shining examples of hinterland rainforest is found in Mary Cairncross Scenic Reserve. Located about an hour away from Noosa, this stunning rainforest preserve makes for a great day of educational fun. Its Rainforest Discovery Center offers interactive information about its diverse plant and wild life. A remnant of rainforests that once covered Blackall mountain range, this subtropical rainforest boasts stunning views of the Glass House Mountains. Take a tranquil stroll on the long timber boardwalk winding through the reserve and explore the lush scenery. Easily one of the essential things to do in the Sunshine Coast is visiting the Glass House Mountains. The towering mountains are a distinct landmark of the Sunshine Coast hinterland, drawing eyes to their jutting peaks. This group of thirteen hills were formed as molten lava cooled in the cores of volcanoes around 26 million years ago. Now the peaks hold cultural significance to the traditional owners, the Gubbi Gubbi people. The mountains are a popular destination for bushwalking and climbing. Challenge yourself on one of the tracks winding around the mountains. You’ll be rewarded with sweeping views of the rainforest hinterland below. This is one of Australia’s best kept secrets. For an escape into an entirely different world of untouched wilderness, there’s no place better than the Noosa Everglades. There are only two everglades systems in the world. One is in Florida and the other is in Noosa. The everglades is home to over 44 percent of Australia’s bird species along with over 700 native animals, so be sure to take your camera to snap photos of any wildlife you may see! As the Noosa River winds through the everglades it becomes known as the “River of Mirrors.” You’ll see pristine reflections of the ancient tropical landscape around you, interrupted only by the gentle glide of canoes serenely paddling by. Explore the river and Lake Cootharaba in the everglades with guided kayak tours. Or rent a kayak and take on the waterways on your own. Linger a little longer and camp lakeside at Boreen Point Campground or Cooloola Recreation Area. 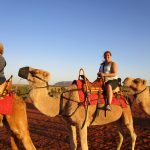 Permits to camp at these sites are easily obtainable with the Queensland National Park Booking Service. One of our favorite tours takes you on a cruise through the Noosa River in the everglades. You’ll stop at Harry’s Hut, a historic quarters for forest workers and now a popular camping site. Here you’ll feast your senses with a delicious Aussie BBQ prepared by your tour guide in the tranquil wilderness of the Noosa Everglades. The sparkling waters of the Noosa River are perfect for a relaxing day of kayaking or stand up paddle boarding. Several businesses along the river provide kayaks and boards for you to hire and enjoy the river at your own pace. Glide down the river and pass the mysterious Makepeace Island, a small heart-shaped island resort. Experience the fun of owning a boat for a day and rent a boat or pontoon – even without a license! Explore great fishing spots and cast your line in the river for a chance to catch Australian Bass, Tailor, Trevally and more. The sunsets in Noosa are a glorious blend of pinks, purples and oranges, best seen on a romantic Gondola cruise on the river. One of our favorite Noosa River cruises is in a beautiful Venetian inspired Gondola. This Gondola holds six people, perfect for an intimate journey with your loved one or a small group of friends. In need of a little retail therapy? Noosa’s got the perfect place. The city’s cosmopolitan cafe and boutique society lies in Hastings Street, a bustling mecca of alfresco dining and world-class shopping. Explore one of Australia’s most elegant shopping and gourmet dining strips, drawing in locals and visitors from all over Australia alike. Pop into Massimo’s Gelateria for a taste of some of the best gelato and ice cream in Noosa. Warm up with a delicious coffee from one of many cafes – Clandestino Roasters are king in the Noosa coffee scene. Discover hand-picked and stylish treasures from France, Italy and Belgium in Eliza’s Boutique. Browse through the beautiful custom boards in Noosa Longboards. No matter what your taste, you’ll find something just for you in Hastings Street. The only problem with grabbing a bite to eat in the Sunshine Coast is choosing where to go. Foodies will be in heaven in with the myriad of restaurants, cafes and pop up restaurants to choose from. 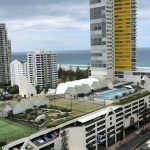 In Sunshine Coast the food is as fresh as the sea air, the cocktails flow with ease, and the flavors will delight your taste buds. 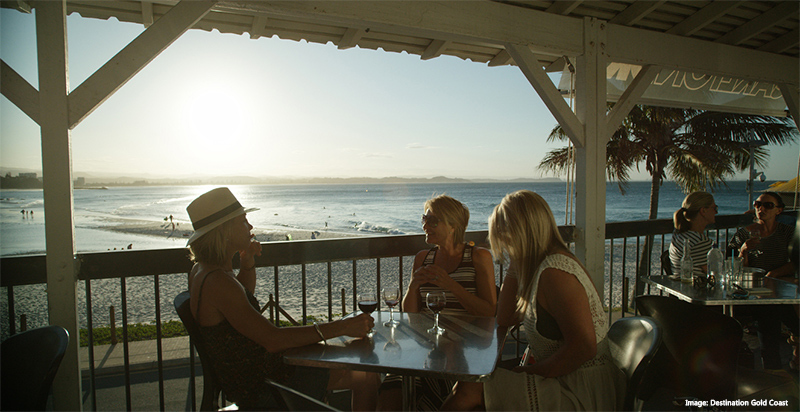 Here are some of the top food experiences in Noosa and the Sunshine Coast. One of the oldest restaurants in Noosa, Cafe Le Monde is a Hastings Street staple. Try their crab omelette for a hearty breakfast or enjoy a burger grilled to perfection after a day at the beach. Head to their special oyster bar on Thursday nights for $1 oysters from 5pm to 6pm. Get a taste of Noosa’s fantastic seafood at Noosa Boathouse Bistro and Bar, floating right on the river. Dine on perfectly cooked New Zealand Salmon or try their crowd favorite – a 3 tiered seafood tower – while enjoying the gorgeous waterfront views. One thing you should know about the Sunshine Coast is that it’s teeming with cooking schools. For a great hands-on experience cooking dishes bursting with flavor, take a cooking class while in Sunshine Coast. The Cooking School Noosa offers classes covering regional, French and modern South East Asian cuisines suitable for all skill levels. Love Asian cuisine? Spirit House in Yandina will have you creating tasty dim sums, tasty curries and seafood delights. One of the best things about a cooking class is getting to taste your fine work afterwards! 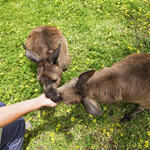 After filling up with amazing food, treat yourself to a day out at the Australia Zoo. There’s probably no zoo in Australia more iconic than this, famed as Home of the Crocodile Hunter. 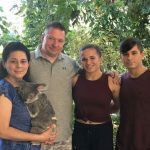 The late Steve Irwin along with his family set out to conserve Australian wildlife through attentive rehabilitation and educational exhibits. Now the zoo is recognized world-wide for its conservation efforts along with its informative and interactive wildlife encounters. See expert handling of enormous crocodiles, giant snakes and swooping birds in the Crocoseum. Here you’ll see the Wildlife Warriors put on a show that will have you at the edge of your seat. You’ll feel the radiating passion and excitement the handlers have for caring after wildlife. Wander through the zoo and spot Tasmanian devils, dingoes and mysterious binturongs as you make your rounds. Visit the Kids Zoo to pet goats, pigs and sheep, or even better – pat a koala on the koala walk-through. Spot Red Pandas climbing tree branches, and meet some of the most playful wombats in Australia. Don’t worry if you need to take a whole day to explore the zoo – you’ll discover something new at every turn! For a more natural look into Australian wildlife and natural beauty take a day trip out to Fraser Island. This World Heritage listed island boasts towering rainforests, over 100 freshwater lakes and long, uninterrupted beaches. This unique island is the only place in the world where rainforest grows on sand, lending to its image of an island paradise. Here you can enjoy beach fishing, four wheel driving, camping and spotting wildlife out in the wild. The adventures never end in Fraser Island – here are some of the things you must experience while there. This impressive stretch of beach is on the east coast of the island. Though its waters are too dangerous to swim in due to strong currents, its perfect for a four wheel drive tour. One of our favorite tours takes you on a journey across the sands of 75 Mile Beach and off road into the island’s core. You’ll explore the rainforests and enjoy lunch at one of the island’s gorgeous lakes. You don’t need to scuba dive to see a shipwreck. Driving down 75 Mile Beach you’ll discover the Maheno Shipwreck, truly a wondrous sight to behold. Learn the history of this ship through informative signs and snap a photo with the wreck. There are many beautiful lakes in Fraser Island to enjoy a refreshing swim, but the silky white sands and crystal clear waters of Lake McKenzie make it one of the top lakes in the island. The sparkling blues and greens of the lake will mesmerize you and draw you in for a swim. The lake is pure rainwater and the sand below prevents it from draining away. This is just one of many gems that showcase the stunning beauty of Fraser Island. Another great spot for a swim in Fraser Island is in the Champagne Pools. These natural pools were formed by volcanic rock and are now a popular swimming spot. Waves from the sea crash into the pools and settle with a fizzing foam, hence its name. This makes for an exciting yet relaxing swim in one of the top attractions of Fraser Island. 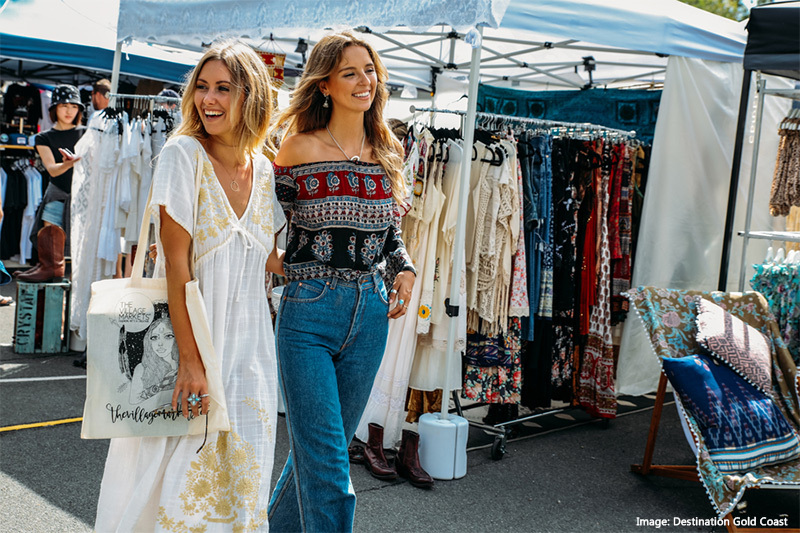 Held every Sunday in what was once a sports carpark, this market is a must while in Noosa. 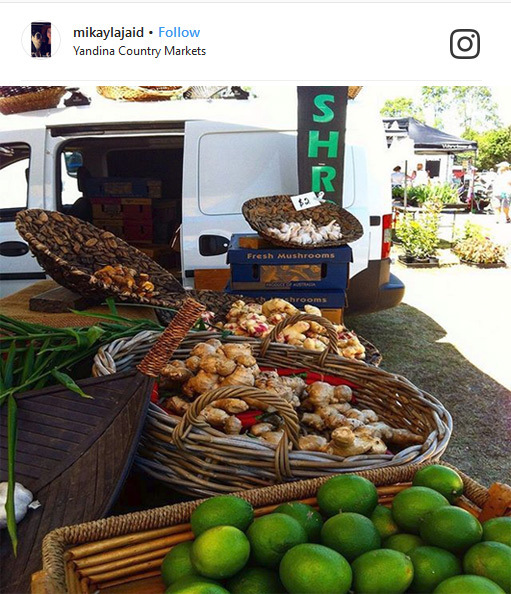 You’ll find fresh and organic produce, local seafood, artisan cheeses, handcrafted art, skincare products and so much more. Grab breakfast in one of the stalls to fill up before a day full of browsing through the aisles. This hotspot is where you’ll find the thing you never knew you absolutely needed until you laid eyes on it. Precious gemstones, yummy street food and gourmet meals, local art, designer clothing…the list could honestly go on forever. There’s even massage spots to help take the edge off the endless market browsing. Stop by on Wednesdays and Saturdays for this popular Sunshine Coast marketplace. These markets are dubbed “The country markets locals love,” and once you stroll through it’s easy to see why. You’ll find freshly harvested produce, vintage finds and collectables, plants and herbs and even car parts. Held every Saturday morning, the sights and smells of these colorful markets are sure to leave a spring in your step. You could spend a whole vacation just exploring Sunshine Coast. And as the heart and soul of Sunshine Coast, you’ll find many of its quintessential experiences in Noosa. Is the Sunshine Coast beckoning towards you? Want a few more recommendations? Contact one of our Destination Specialists for more information on this special region. We’ll even give you free quote on a vacation in the Sunshine Coast! I Want to visit Noosa and Sunshine Coast! The Whitsunday Islands off the coast of Queensland are known as Australia’s slice of tropical paradise. This idyllic chain of 74 island wonders stun visitors from around the world with their green-clad beauty and secluded white-sand beaches. With people as warm as the year-round weather and a holiday feel as relaxed as its calm, crystal clear waters, it’s no wonder the Whitsundays are the premier destination for a tropical escape in Australia. 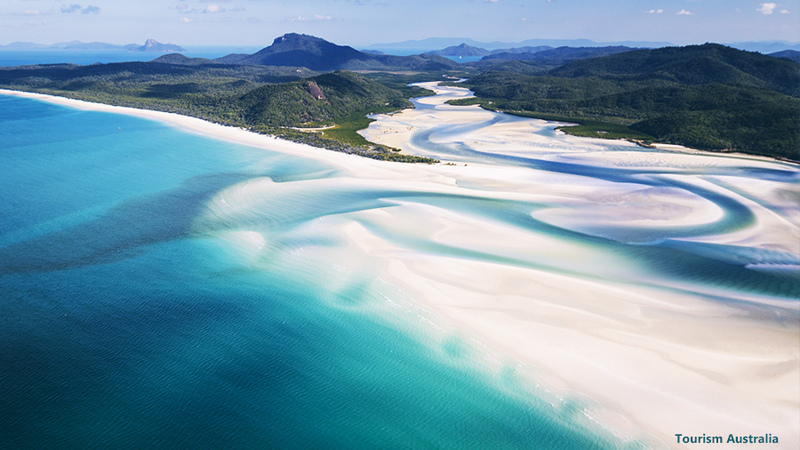 You’ve seen the mesmerizing pictures of Whitehaven Beach and its pure white sand. You’ve pondered seeing the underwater wonderland of the Great Barrier Reef. How about experiencing these spectacular icons all in one trip? Make Airlie Beach on the Whitsunday Coast the base of your next holiday, and you’ll be on the doorstep of these beautiful destinations. As gateway to the Whitsundays and the Great Barrier Reef, Airlie Beach is the ideal threshold into the island holiday of your dreams. Australia is teeming with gorgeous beaches. There’s iconic Bondi Beach in Sydney, the golden beaches of the Sunshine Coast, and a beach so perfect to catch waves it’s named Surfer’s Paradise. But your idea of tropical paradise is probably a bit more secluded. At Whitehaven Beach every spot is perfect to relax on its pure white sand, and the only crowds you’ll see are a mere handful of people. This world-famous beach is the crown jewel of the Whitsundays, constantly rated as the best beach in Australia. The powdery white sand is 98 percent silica, meaning the sand never gets hot no matter how hard the sun glares. And with shallow, crystal clear waters always hovering at 77 degrees Fahrenheit, Whitehaven Beach is like something out of a dream. Whitehaven Beach is on Whitsunday Island, the largest island of the Whitsundays. Whitsunday Island is a pristine paradise, with no hotels or resorts in sight, and the only way to reach it is by sea or air. The numerous islands and surrounding reef protect the waters, making them calm and perfect for sailing or cruising to Whitehaven Beach from Abell Point Marina at Airlie Beach. With waters so still and an ambience so relaxed, you might be aching for a little adventure. Embark on an exhilarating ocean rafting ride and jet through the Whitsundays to Whitehaven Beach. Feel the adrenaline pulse through you as the wind plays through your hair and the water splashes around you. Once you arrive at Whitsunday Island be sure to take the fifteen minute walk to Hill Inlet for those unbelievable views so iconic to Whitehaven Beach. The heavenly swirls of white sands and aqua waters will be an unforgettable image ingrained forever into your memory. Though Hill Inlet provides a commanding view over Whitehaven Beach, the best way to see the otherworldly swirls are by seaplane or helicopter. The soft shades of blue gently blended with white sand glimmer below as you fly overhead. Land on the beach for a dramatic entrance – for a beach as breathtaking as Whitehaven, such a grand entrance is only appropriate. Whitehaven Beach is not the only gem you can see while flying over the Whitsundays. You’ll find the heart of the ocean lies in the Great Barrier Reef of the Whitsundays. White sand beaches, vibrant green islands and clear turquoise water – the Whitsundays are a picture of utter tropical romance. But the picture isn’t complete without Heart Reef, out to steal yours. This stunning natural composition of coral is in the perfect shape of a heart. Located in the heart of the Great Barrier Reef, this icon has been the site of many proposals and declarations of love as couples fly overhead by helicopter or seaplane. The spectacular view appears just as it does in photos on post cards – untouched and brightly colored. A deluxe scenic flight through the Whitsundays can include a trip over Whitehaven Beach and Heart Reef – two jewels of the Whitsundays. You’ll be reeling from a romance high once you land back on ground. 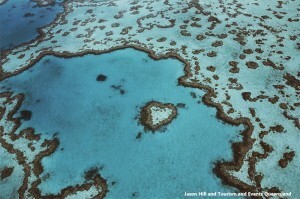 A more cost effective way to see Heart Reef by air is in conjunction with a visit to the Great Barrier Reef. You’ll depart from the Great Barrier Reef platoon and fly over this romantic natural beauty. 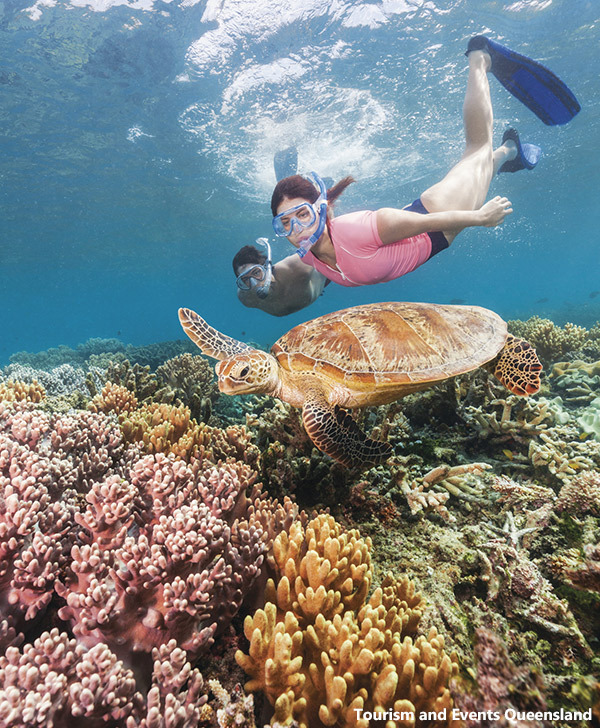 There’s no way you visit Australia without experiencing the Great Barrier Reef. 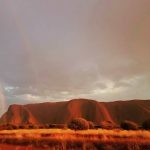 This mind blowing natural wonder is a definitive Australia destination. At the Whitsundays, you’re located near the central section of the Great Barrier Reef, making the region ideal for exploring the reef. Airlie Beach and a few of the island resorts of the Whitsundays provide ample ways to experience the reef so you can enjoy this icon in your own style. 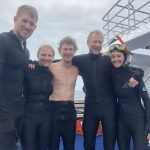 Our favorite day cruise departing Airlie Beach out to the reef combines interactive adventures of snorkeling, diving, semi-submersibles and underwater viewing observatories allowing you to see the reef no matter your skill level, or lack thereof. The reef in the Whitsundays boasts some of the most colorful fish and coral formations anywhere in the Great Barrier Reef. The shallow, warm waters of the Whitsundays provide excellent opportunities for snorkeling. If diving is your passion, you’ll be in heaven at the Whitsundays, where tens of thousands of fish and other marine life including turtles and dolphins call home. Want to see the reef without getting wet? 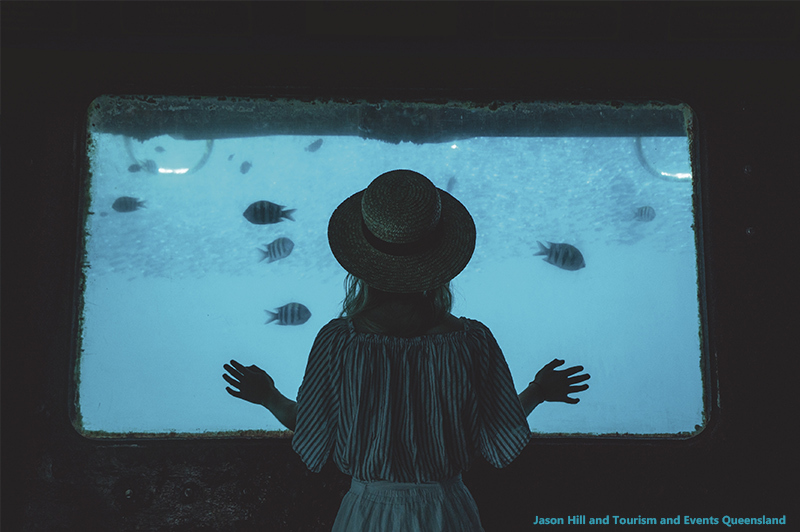 Glass bottom boats, semi-submersibles and cruise ships with underwater viewing observatories allow you to marvel at the underwater wonderland of the reef without dipping a single toe in the water. From sunny day trips to the Great Barrier Reef to leisurely charters around the Whitsundays, sailing is perhaps the best way to explore this chain of islands. The Whitsundays offers some of the world’s best sailing, and what better way to fall in love with this island paradise than out at sea, enveloped in the glory of a gorgeous tropical sunset? Airlie Beach offers numerous sail tours departing the marina for half day, full day, and even overnight sailing. One of our favorite luxury yacht tours includes gourmet meals, visits to snorkel sites and Whitehaven Beach – the ultimate all-in-one Whitsundays experience. 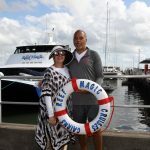 Or you may prefer to keep it simple and sail around the bays of Airlie Beach for fantastic views of the sea on a sunset cruise. 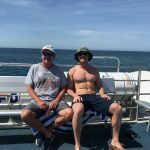 You may even hire a private yacht for bareboat sailing without a license or experience, and set course to the Whitsundays for your own island adventure. As the base for all this tropical island fun, Airlie Beach is the heart and soul of the Whitsundays. The vibrant and social atmosphere in Airlie Beach is infectious and its holiday daze will soon take over, ensuring you’ll never want to leave. And many people who planned to only visit for a few weeks end up staying forever! With the Whitsundays and Great Barrier Reef at its doorstep along with its laid-back main street lined with boutiques, cafes and markets, it’s not difficult to see how the tropical charm of Airlie Beach seduces visitors from around the world to its shores. You can sunbathe at the edge of renowned Airlie Lagoon, located in the heart of the town. And indulge in the freshest seafood and gourmet dining in one of many thriving cafes, restaurants and bars. Tip: Head to Fish D’Vine, an Airlie Beach institution, for locally-sourced seafood and a choice of 450 types of rum. Just minutes from Airlie Beach is the lush green rainforest of the Whitsunday Coast. Discover quiet coves, waterfalls and scenic outlooks on one of many walking trails through the hinterland. Take a break from the beach side and explore the tropical rainforest surrounds. This hidden gem is a local favorite as a day trip into the Whitsunday hinterland. Best to see during the wet season, fresh water runs off the surrounding rocks into a crisp, emerald green lagoon. Enjoy the dappled shade of the rainforest canopy above you as you swim in the refreshing waters of the rock lagoon, and take a lunch break with a picnic in these gorgeous surrounds. Only 30 minutes away from Airlie Beach, you won’t want to miss this hidden tropical oasis of the Whitsunday Coast hinterland. Another popular escape into the rainforest landscape of the Whitsunday Coast is at Conway National Park. 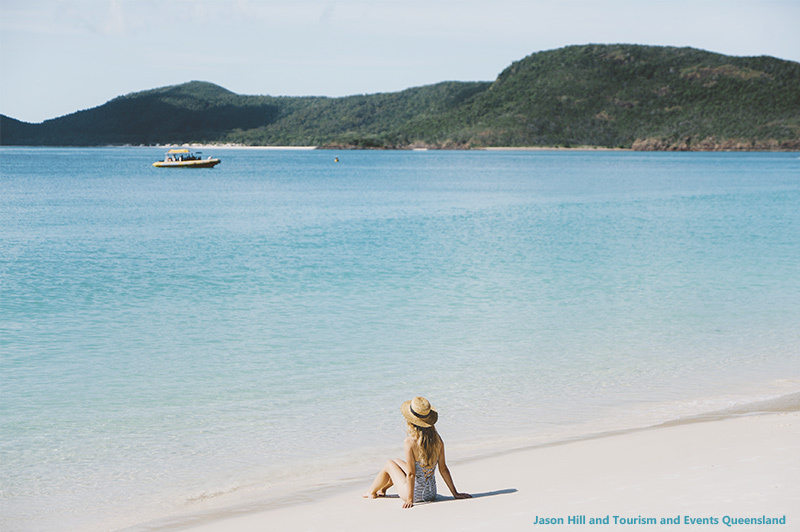 The diverse beauty of its green-clad hills, secluded beaches and panoramic outlooks over the Whitsundays is enough to lure in travelers from Airlie Beach. Walk on a wide range of bushwalking trails winding through the park and catch sight of the many butterflies in different shades of blue, yellow and orange flutter about you in the forest. Take in the views of the Whitsundays from Mount Rooper Lookout. Discover the quiet seclusion of Coral Beach and watch as hundreds of tiny crabs run across the sand. Not too many people know about the Whitsundays region in Queensland. 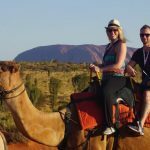 When people think of a trip to Australia it’s usually to the typical destinations – the Sydney Opera House, Ayers Rock in the Outback, and the Great Barrier Reef as accessed from Cairns. Sure, those are fantastic places to visit in Australia, but for that tropical island getaway of your dreams there’s no other place as perfect as the Whitsundays. Whether it’s solitude and rejuvenation, fast-paced action or relaxation, you’ll find it all in the Whitsundays. Ready to make your escape to the Whitsundays? Contact our Destination Specialists to start planning your idyllic island vacation. I Want to Go to the Whitsundays! 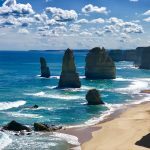 How to see the best of Australia on a short vacation to Melbourne. 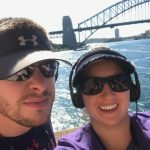 We are working on our Things to Do in Australia blog series where we outline how you can see all the major Australia Highlights in a short vacation, staying in just one or two Australian cities. 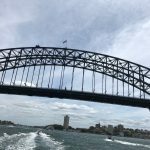 We’ve shown how you can see Beaches & Aquatic Life, Wildlife, Rainforest, Outback, Food & Wine, Modern City Culture & Art and Indigenous Culture in the city of Sydney. Today we look towards the world’s most livable city, Melbourne. 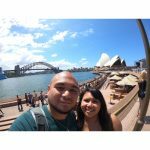 Here are things you can do in Melbourne to see major Australia highlights. Hang out on the coast of Port Phillip Bay with the peninsula’s iconic rainbow-colored bathing boxes providing a colorful backdrop. A short tram ride from the heart of Melbourne, you’ll find St. Kilda Beach. 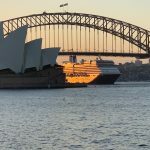 It’s not only a great place for a swim, but a wonderful seaside community where you’ll find great bars, restaurants, shops and even some little penguins in the rocks. …maybe you’ll even spot one of these little guys. 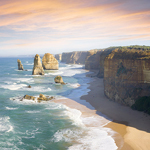 Head to Phillip Island for a variety of beaches, from family friendly bay beaches at Cowes and Ventnor Beach to break beaches for surfing at Cape Woolamai. 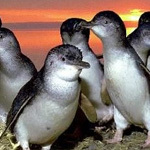 While on Phillip Island don’t miss your chance to see cute little Penguins waddle home to their burrows. 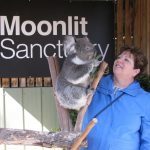 Head to Healesville Sanctuary, a world-renowned spot to see Australian wildlife in their natural habitat. Located in the heart of the Yarra Valley, Healesville centers on local conservation and indigenous culture. 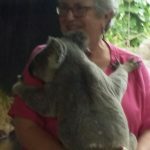 Just 45 minutes outside of Melbourne, see the wildlife in the wild. 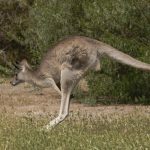 The national parks near Melbourne have a surprising diversity of wildlife: Kangaroos, Koalas, Emus, Swamp Wallabies, Cockatoos, Parrots, Galahs and more! 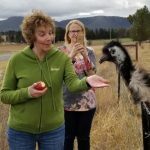 While Victoria isn’t the #1 destination for rainforest tourism, you can find rainforest just an hour outside Melbourne in the Yarra State Forest. Walk through myrtle beech rainforest to the Ada Tree, a giant mountain ash that is one of Victoria’s largest trees and also one of the largest known flowering trees in the world on the Ada Tree Rainforest Walk. For a little outback adventure near Melbourne, head to the You Yangs, distinctive granite peaks that rise from the flat volcanic plains between Melbourne and Geelong. With a stay in Melbourne, you’ve hit the jackpot in amazing food & wine! 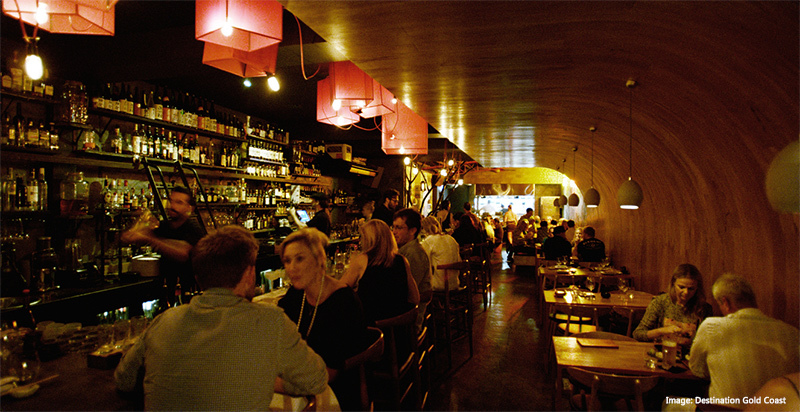 Melbourne’s eclectic dining scene offers a wide array of the world’s great cuisines. Enjoy a wonderful dinner on the water with the Spirit of Melbourne. Head to Coda for sleek Asian/French cuisine. Dine high in the sky at Vue de Monde. Grab a bite and some of that famous Melbourne brew at a local café. Find a hidden gem in Melbourne’s Laneways. This tour is sure to unveil some local favorites. 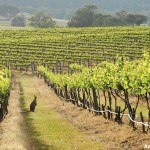 Head to Yarra Valley on this amazing tour for Australian wine tasting. Melbourne’s thriving art scene supports over 100 art galleries – both large and small. Head to Flinders Lane to see private galleries and public street art. Speaking of Federation Square… this famous spot hosts over 2000 events each year! It buzzes with cultural festivals, exhibitions, event launches, performances, forums, films, concerts and fashion shows. There’s sure to be something hopping at Fed Square whenever you visit. Wander around Swanston Street & St Kilda Road to find much of Melbourne’s notable architectural sites. You can find some very interesting Indigenous experiences right in the heart of Melbourne. 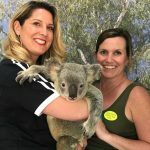 Visit the Koorie Heritage Trust. Stop by the multi-award-winning Bunjilaka at the Melbourne Museum. For a real treat, take an Aboriginal Heritage Walk of the Royal Botanic Gardens. 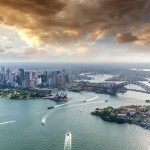 Are you ready to start planning your trip to Australia? Whether you are traveling for 1 week or 3 months, we can help you make your trip worthwhile. Get-A-Trip-Quote or Phone us Toll Free on 1-888-359-2877 (CT USA, M-F 8.30am – 5pm). 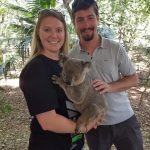 Things to do in Australia | A Perth Vacation with All the Australian Highlights.